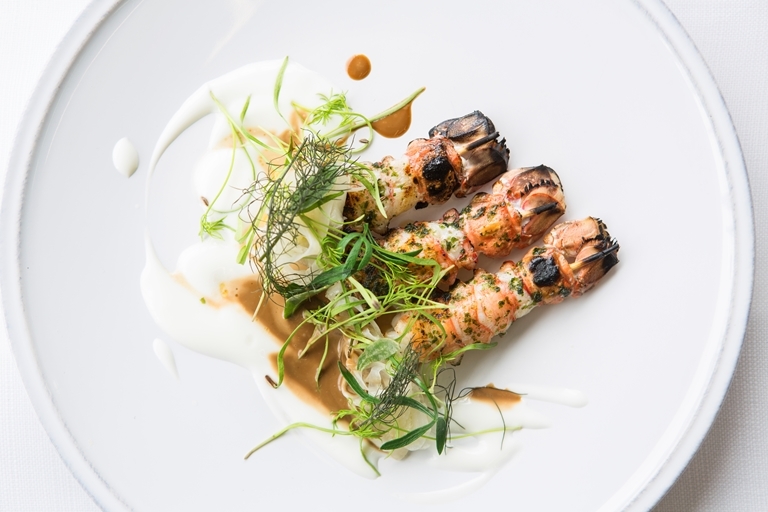 This beautiful grilled langoustine recipe by Paul Welburn makes a glorious seafood starter, with a heady bisque, seaweed butter and fragrant pickled fennel. Make sure you buy live langoustines as freshness is imperative, although remember to place them in the freezer for one hour prior to cooking. The fennel provides a lovely lift to the dish that cuts through the richness of the bisque.